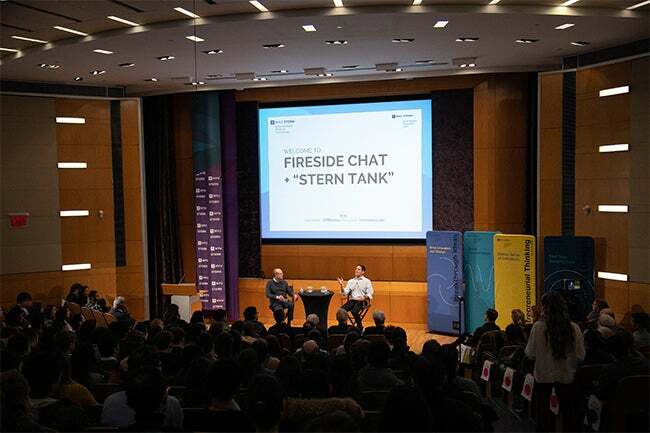 NYU Stern’s Entertainment, Media and Techology (EMT) program and W. R. Berkley Innovation Labs hosted entrepreneur, investor and ABC “Shark Tank” judge Mark Cuban for a fireside chat with Professor Greg Coleman, a Q&A with the Stern community and a first-ever “Stern Tank,” featuring three NYU startups. 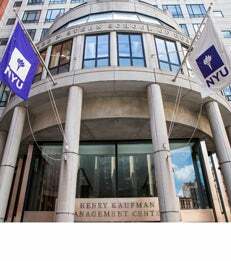 Following a welcome by NYU Stern Dean Raghu Sundaram, remarks by Professor Coleman and an introduction by MBA student and teaching fellow Sarah Kim, Professor Coleman amd Cuban covered a number of topics, ranging from the sale of Cuban’s first venture, MicroSolutions, what he looks for in prospective investments and how to identify and create business opportunities. 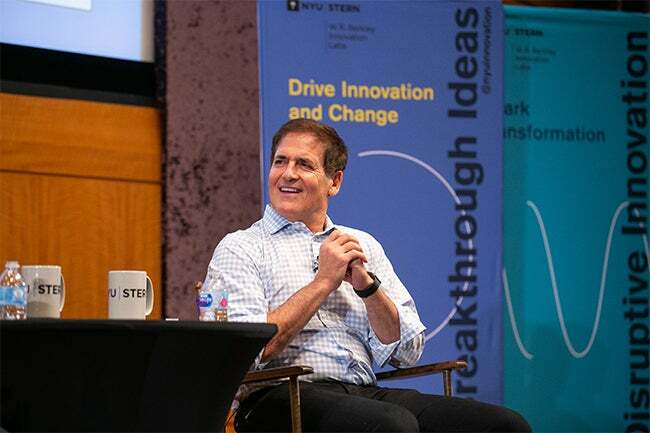 Cuban emphasized that the way entrepreneurs are perceived today is changing, underscoring the importance of a social component in new entrepreneurial ventures in addition to treating employees well. 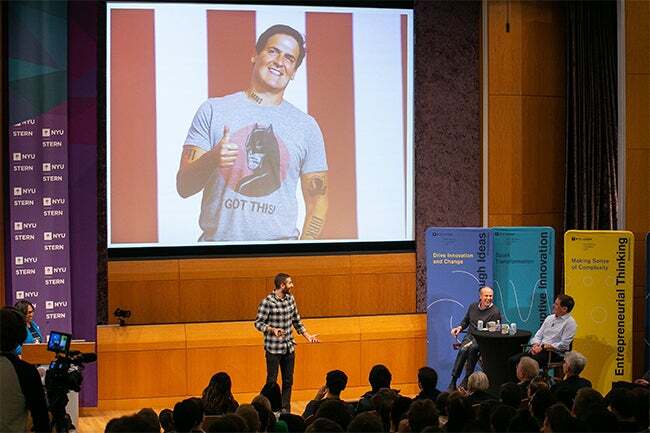 He shared that his strength lies in paying attention to and learning as much as possible about new technologies and applying them in ways that others have not yet attempted. 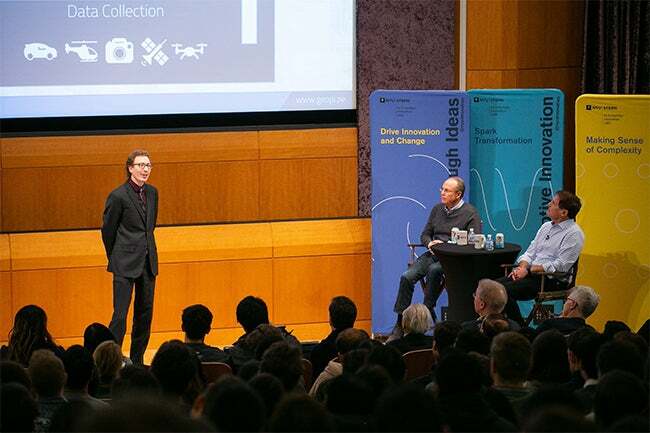 Looking to the future, he pointed to AI as a force potentially more influential than the Internet. 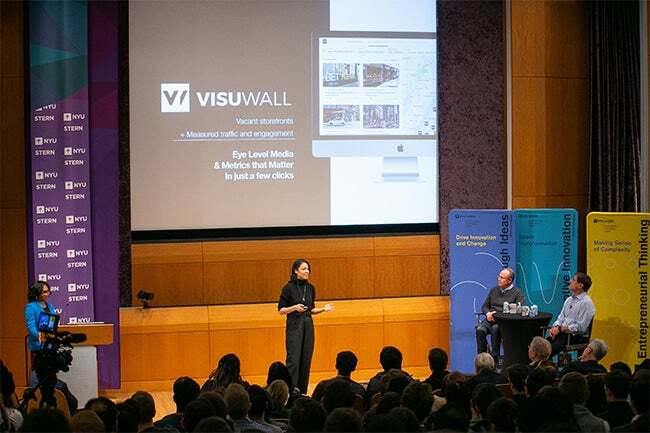 After an introduction by Professor Cynthia Franklin, director of entrepreneurship at the W. R. Berkley Innovation Labs, three NYU startups presented their businesses to Cuban for his feedback: Josh Sakhai (BS ’18) of Ephemeral, Kobi Wu (MBA ’15) of VisuWall and Christopher Mitchell (NYU Courant PhD ’15) of Geopipe. 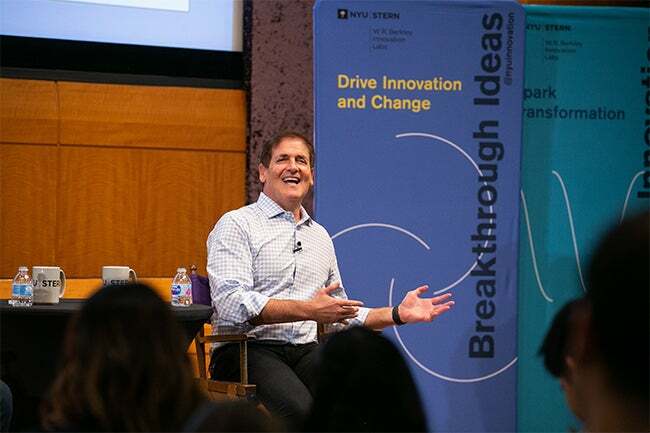 Cuban talked through each venture’s business model and shared his recommendations. 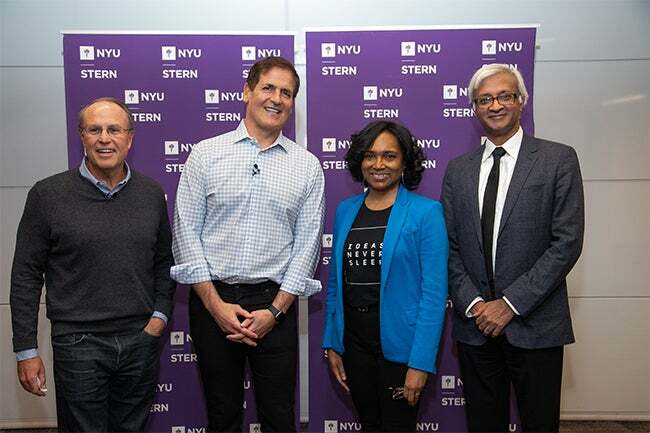 Last class, amazing class, thanks @mcuban for coming to speak @nyustern tonight.....very lucky class (and the other 700 people that attended)!